Venkat Prabhu is now producing RK Nagar under his banner Black Ticket Company along with Shraddha Entertainment. 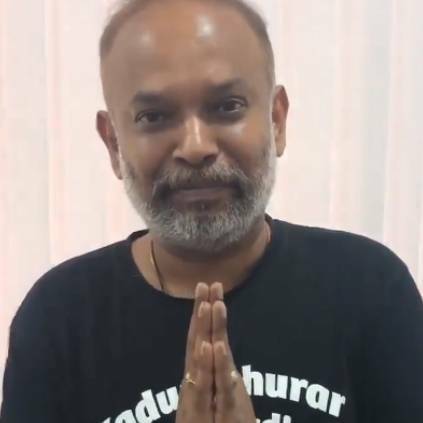 While it was announced that the film would release in theatres on April 12, Venkat prabhu has posted a video on Twitter addressing an issue with the release plans. He has also said,”I want to tell in Thala style that live and let live” Venkat Prabhu is all set to direct STR in Maanadu which has Kalyani Priyadarshan as the female lead. The movie is under pre-production. People looking for online information on Ajith Kumar, Black Ticket Company, Maanaadu, Rk nagar, Saravana Rajan, Vaibhav, Venkat Prabhu will find this news story useful.